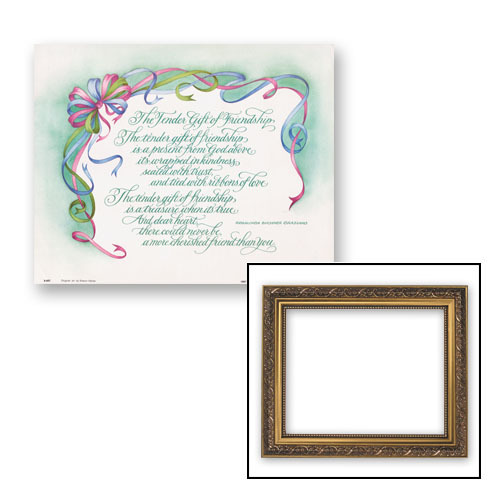 What better way to tell family, friends and loved ones how much they mean to us than to present them with a heartfelt verse in a beautiful frame? Ornate Gold Finish Frame. Print under glass.